Tesco has announced that it is to cut the price of its iPhone bundles, just four months after introducing the handset to its mobile phone range. The grocery giant has revealed that it is knocking a full £15 off its unlimited package, meaning that Apple addicts can now get an iPhone 3GS 16GB, with unlimited calls, texts, data and WiFi on a 24-month contract for just £45 per month – a tariff that used to cost £60 a month. For those who don't want to be locked in for two years (and bearing in mind a new iPhone is just around the corner) customers will also be able to snap up an iPhone 3GS on a 12-month for the knock-down price of £35 per month. For your mullah, you get unlimited texts, data and WiFi, and 750 free voice minutes each month. The only caveat for this is that you will have to pay either £100 (for an iPhone 3G 8GB), £200 (iPhone 3GS 16GB) or £275 (iPhone 3GS 32GB) up front for the phone. 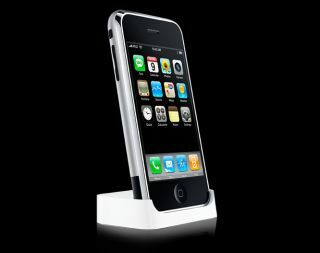 The new tariffs come after news that Apple is to introduce its iPhone OS 4.0 update to handsets this summer. This will bring multi-tasking to 3GS handsets and the iBookstore to the device. To find out more about the new tariffs, flick your browser to www.tescomobileiphone.com.